HR Technology Conference & Exposition® and the official housing provider — Connections Housing — offer you the lowest room rates during the event and guarantee your room. A limited block of rooms are being held until September 9, 2019 or until the block is sold out. Official HR Tech hotels will not honor direct reservations. You must book through Connections Housing, HR Tech's official housing provider, to enjoy these special rates and features. 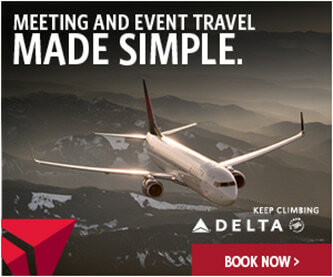 To secure your hotel reservations today, simply use the link above or call toll-free 855-476-6976/local 702-675-6598. 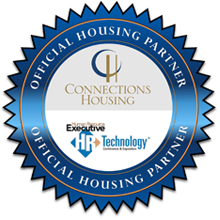 HR Tech has designated Connections Housing as the only housing provider for the event. Please be aware of unethical housing poachers have been contacting HR Tech attendees about booking potentially bogus hotel rooms for this conference. Reservations made through an agency other than Connections Housing will be at your own risk. If you provide your credit card information to any of these unauthorized vendors, your card may be charged buy you may NOT have a reservation when you arrive in Las Vegas. If you are contacted by another housing company trying to sell hotel rooms, please notify Show Management at vdennehy@lrp.com. HR Tech provides travel information with guaranteed low rates, Book now!